Bored of normal plain or butter popcorns!!!! 1. Heat 1 tsp oil in a kadai and add popcorn kernels. Cover the kadai with a lid and keep it on medium flame. Let the popcorns pop up nicely. Popcorns will be ready in few minutes. 2. Once the popcorns are ready remove from the kadai. 3. In the same kadai, melt jaggery, keep on moving the jaggery to avoid burning. Add spices in melted jaggery. Mix well till there are no lumps in jaggery. 4. Remove the kadai from flame and add cashewnuts, sesame seeds and popcorns. Mix together with light hand to avoid crushing of the popcorns, till popcorns are coated well. 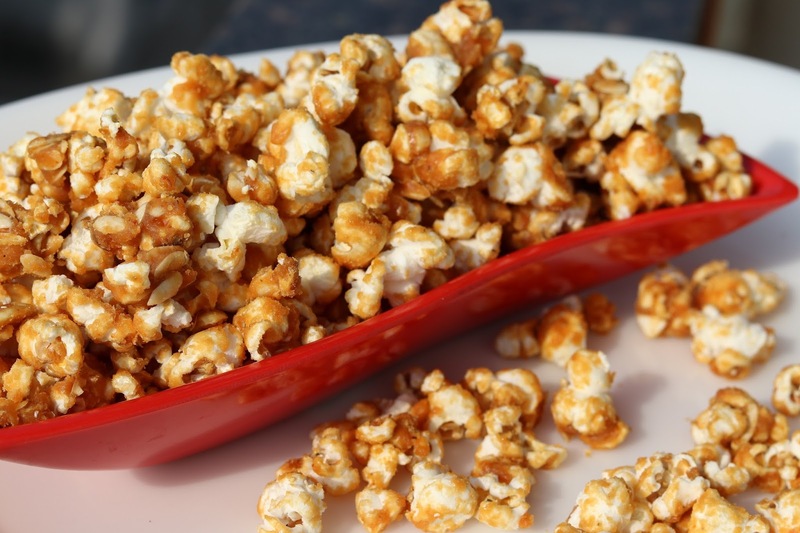 While mixture is still hot, separate the popcorns which stick to each other. 5. Jaggery flavoured popcorns are ready to serve.